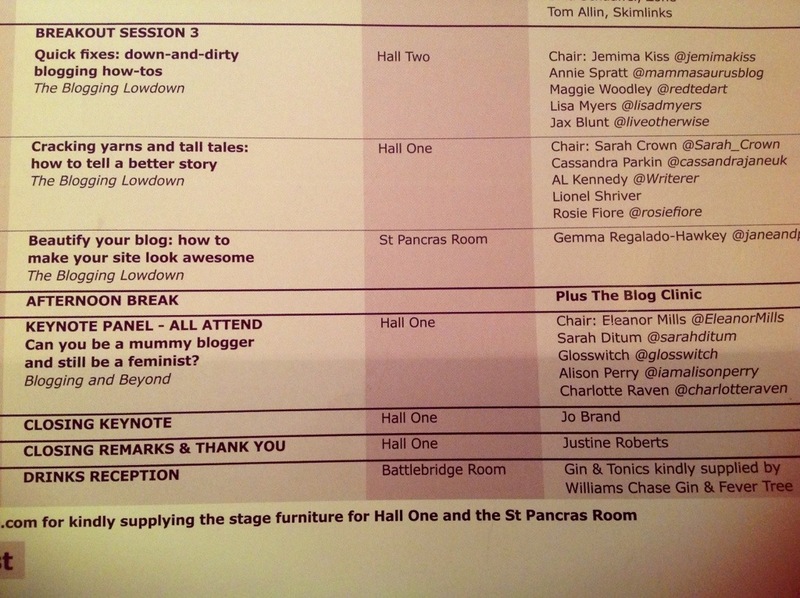 On Saturday I went to mumsnet blogfest. 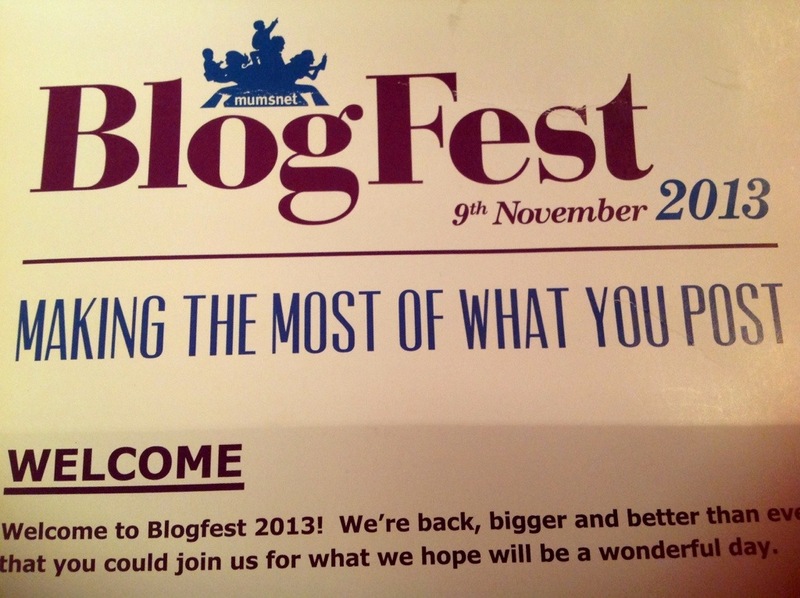 http://www.mumsnet.com/blogfest with Lindsay from http://www.reddesk.co.uk/. We went last year too which was the first time they did it and it was very lavish and impressive. This year it was in Kings Place which is a massive swish building in nearby Kings Cross. 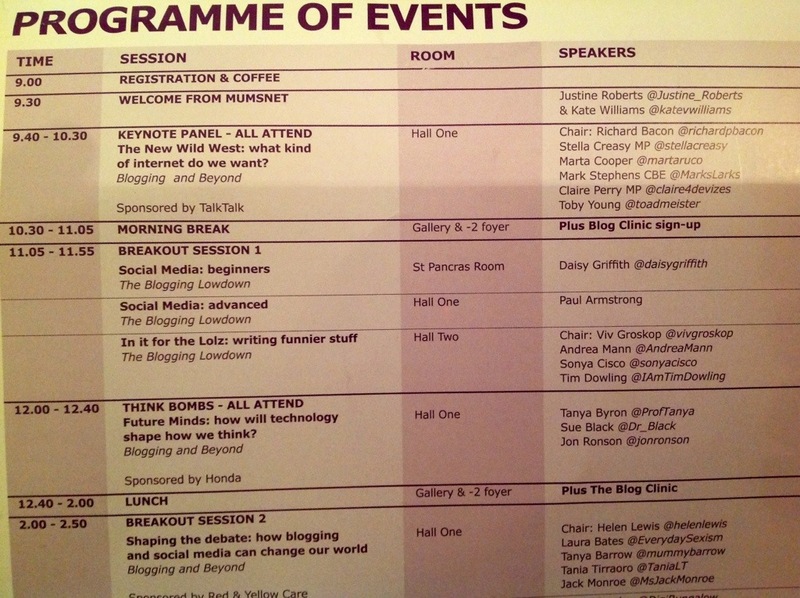 I’m not one for big corporate events at all but I started blogging (with Lindsay’s help) about 2 years ago so it’s a lovely day out with lots of blogging tips and talks plus panels of interesting people and lively discussion. As different as everyone there is, we all have one thing in common…..that we’re interested in social media. A few months ago I’d have felt a bit of a twit using that expression as it seemed a bit twatish but I don’t think it is any more. It’s progression whether we like it or not and with Linday’s help I’m vaguely managing to keep up by the skin of my teeth. About 400 people, mainly women attend from all over the country and we were treated like kings with as much tea, coffee and biscuits as we wanted. I’m very comfortable in the company of women and it’s all very relaxing and friendly. It was superbly organised like last year and worked like clockwork. I’ve had a great affection for Mumsnet since 2008 when I stumbled upon it by accident at a time of crisis and I found more support there than I knew was possible. It’s a massive place of support, friendship and laughter as well as spats, rows, entertainment, help and lots lots lots more. I shall always be grateful to Mumsnet and in turn I also lent my support to women in crisis who had no where else to turn. Anyway, the lunch on Saturday was out of this world just like last year, and the puddings were sublime. Jo Brand, in her role as feminist comedian was there at the end to finish off the day with some funny anecdotes and a Q&A which was a huge thrill for me as I adore her, especially in her series Getting On. 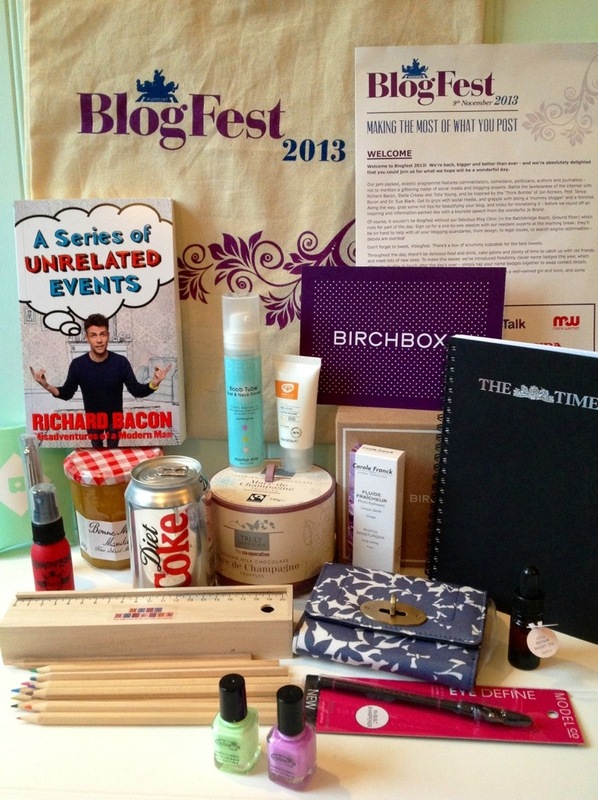 On leaving everyone was given a heaving goody bag full of lovely things. Needless to say the champagne truffles have all been eaten And I love the nail varnish ! Just my colours. Sounds like you had a great day. That area has totally transformed over the last few years, it’s brilliant. Kings Place is a bit like The Festival Hall, I thought.